Liang Wengen Liang Wengen, a 55-year-old former weapons plant manager and chairman of Sany Heavy Industry Co., topped the Hurun Rich List 2010. A surge in Sany's share price doubled his fortune to $11 billion, said Rupert Hoogewerf, who studies China's wealthy and compiled the list. China has thrown trillions of dollars into new housing, railways and other infrastructure, driving a massive construction boom that has benefited manufacturers of machinery, cement and other building materials. Forbes estimated Liang’s net worth to be $9.3 billion, moving up from third place last year when he was worth $5.9 billion. Sany, based in central China's Hunan province, makes construction, road, excavating, hoisting and port machinery, as well as wind turbines. Founded in 1989 by Liang and several associates as the Hunan Lianyuan Welding Material Factory, the company listed its shares on the Shanghai Stock Exchange in 2003. The company's share price has risen from a 52-week low of 8.19 yuan ($1.28) to its current 15.59 yuan ($2.44). Liang holds a 58 percent stake in Sany Group. Forbes reported: “China’s thriving construction and equipment industry enables three other Sany executives to reach billionaire status, ranking among the top 100 of the rich list. They are Tang Xiuguo with wealth of $1.43 billion, Mao Zhongwu at $1.29 billion and Xiang Wenbo, $1.29 billion. Sany additionally has three members on this year’s list below the $1 billion threshold. The company’s total of seven members is the most any single company has ever had on a Forbes China Rich List. The 2001 Forbes magazine list was topped by Liu Yongxong and Liu Yonghao, two brothers from Sichuan who made a fortune in the animal feed business and have been described as China’s first billionaires. Their company, the Hope Group, had assets worth $1 billion in 2001. In 2009 Yonghao, was No. 4 on the list of China’s richest, with a net worth of $2.2 billion and holdings in real estate, feed and banking. The Liu brothers’ story began in 1982, when the pawned everything they owned to raise $120 so they could start a business to buy and sell quail eggs. By the late 1980s they had the largest quail egg business in world (their quails produced 10 million eggs a day). On a sales trip to Shenzhen they saw a huge line of people waiting outside a pig feed lot and realized there was big money to be made in that. The Liu brothers’ also have holdings in real estate, banking and other sectors. Huang Guangyu, the founder and chairman of Gome Electrical Appliances, was named by Forbes as the richest man in China in 2006 with a net worth of $2.3 billion when he was only 37. Known in China as the “price butcher,” he had an estimated worth of $1.7 billion in 2005. In 2007 he was only the 10th richest man even though his net worth increased by 50 percent from the previous year to $3.6 billion. In 2008, the Chinese press crowned him the nation’s richest man, with an estimated net worth of $6.3 billion. Forbes magazine’s list of the wealthy placed his assets at a more modest $2.7 billion. In 2008, Huang Guangyo (also spelled Wong Kwongyu) was listed by Forbes in 2008 as China’s second richest person with a net worth of $2.7 billion. Other sources have estimated his wealth to be $6.3 billion. He and his wife, Du Juan, who is the company’s executive director, hold a 39.8 percent stake in Gome’s Listed unit. Later Huang set up an appliance distribution firm with $4,400 (4,000 renminbi they had earned as traveling salesmen in Inner Mongolia and a 30,000-renminbi loan). and founded GOME in 1987. Beating out rivals with cheap prices, he expanded quickly and was able to grow fast in the 1990s with relatively little competition. Huang became fabulously wealthy by floating his company on the Hong Kong stock market in 2004, then investing in real estate and stock in mainland China. As of the mid 2000s, Huang’s Hong Kong-listed Gome (pronounced Gwo-may) Electrical Appliance Holdings ran 420 stores and employed about 300,000 people. To head off competition from Wal-Mart and Best Buy and others it launched an aggressive expansion campaign in which it opened hundreds of new stores, mostly through the acquisition of smaller retailers. Gome Electrical Appliance was the top retailer in China in 2006 with sales of around $10 billion. At its peak, Gome was China’s largest retail appliance chain, with 1,350 stores in more than 200 cities. Things began to go wrong for Huang when he sought in 2006 to take over the troubled company that runs Zhongguancun, northern Beijing’s computer technology district, This move he attracted the attention of investigators. In 2006 and 2007, Huang was investigated and cleared on charges stemming from a shady real estate and loan deal made in the 1990s. The primary allegations was that Huang took a $167 million loan from the Bank of China Beijing branch without going through normal procedures and never paid it back. There were worries that Huang would be sent prison and his business empire would collapse. When it was announced that he had been cleared and the investigation was over, Gome stock soared 14.6 percent. In November 2008, Huang Guanyo was detained on suspicion of market manipulation, and other crimes in connection with share trading violations involving a company controlled by his brother. Huang disappeared and was detained a week before there was any news of his whereabouts. Trade of Hong-Kong-listed shares of his company were suspended. In August 2009, a Hong Kong court ordered the freeze of $214 million of assets. In June 2010, Huang Guangyu was found guilty of insider trading and illegal business dealings. 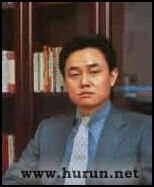 He was sentenced to 14 years in prison and fined $88 million and had another $29 million worth of property confiscated. 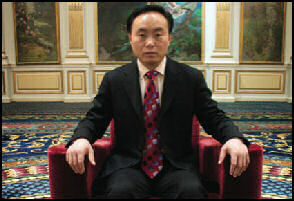 Yan Jiehe was listed as the second richest man in China in 2006. A former teacher, he owns the China Pacific Construction Group, a company based in Baotou in Inner Mongolia. He had a net worth estimated at $1.6 billion in 2006 when he was 45. China Pacific is the largest private employer in China, employing over 100,000 people. It won $50 billion in contracts between the time it was launched in 2001 and 2006 using little-money-down financing schemes and bringing development to remote and undeveloped areas. Yan owes his success to his strategy of offering cheap financing which allows him to make deals directly with local officials, avoiding competition, and factoring in healthy profit margins. It is not known how long his run luck will last. In January 2006, Beijing banned the kind of financing schemes he offered on the grounds that they create wasteful projects and generate a real estate bubble vulnerable to collapse. Yan is the youngest of nine children born in 1960 to a pair of schoolteachers who lived in a comfortable brick house in Jiangsu Province near the home of the late Prime Minister Zhou Enlai. During the Cultural Revolution his parents were persecuted and his family was forced to move to a poor village, where they survived on rice husks normally fed to pigs. Yan worked as school teacher in the early 1980s and left that position for a $10-a-month job in a local cement factory. Within three months he was earning $500 a month as a manager. Yan moved into the construction material business by taking over a bankrupt collective. In 1992, he won a $1 million road building contract in Nanjing. The next year he won a contact to build part of the road between Shanghai and Nanjing. In 1995, he founded Jiangsu Pacific Engineering, a construction company that specializes in projects for Jiangsu Province. He became a very wealthy man employing the model he used Jiangsu in other provinces and taking over state-owned companies by bundling successful operations with bankrupt factories and getting local officials to go along by relieving them of having to provide pensions for laid off workers. Suntech products Shi Zhengrong was listed as the seventh richest man in China on the Forbes list in 2006, with a fortune estimated at $1.43 billion. What is most surprising about his success is his business. His company, Suntech Power Holdings, makes silicon photovoltaic solar cells. It was valued at $9 billion in 2007, up 300 percent from its public stock offering in December 2005. Shi founded Suntech in Wuxwi near Shanghai in 1992 after earning a Ph.D. in engineering in Australia. By coming up with and developing, in the words of the Wall Street Journal, “first word technology at developing world prices,” he quickly forged Suntech into one of the top four solar cell manufacturers in the world along with Sharp and Kyocera in Japan and BP. Shi told the New York Times he owes his success to Chinese provincial government subsidies and his reliance on low-tech labor rather than high tech machines to make his cells. Suntech cells produce energy at about $4 per watt, The goal is to reach $2 per watt by 2015. Roughly 90 percent of the company’s business is abroad but as prices come down Shi is ready to expand quickly in China. 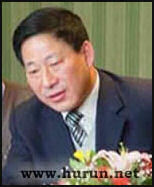 Xu Ringmao is a billionaire who got rich through his ambitious and flamboyant real estate projects. A former textile factory worker, he is known for keeping a low profile and making a killing by buying up and developing the right properties in the right places at the right times. He was ranked No. 9 on the 2005 Forbes list with $1 billion assets. As head of the Shimao Group Xu controls more land than any developer in the United States and is best known for extravagant luxury real estate projects such as the Shimao International Plaza in Shanghai. In 2005, Shimao was overseeing $9 billion in projects and was expected to complete building 13.5 million square meters of building space by 2010. Xu bought prime land in Shanghai in the late 1990s when others were fleeing the market, fearful of a collapse. He obtained some prime land in the Pudong area of Shanghai, and built some high-rises there with apartments that sell for $4 million a piece. In many cases he finances Phase I of his projects with down payments, and starts Phase II and Phase III when Phase I is occupied and the money that is owed him is paid. In some cases it is not totally clear how he managed to secure the rights to prime chunks of land in China’s largest cities at relatively low prices and get permission to build hotels, commercial buildings and residential property on them. Little is known about Xu, especially how he made his early fortune and set up his contacts with influential Chinese officials. The oldest of eight children born to a machinist and a doctor, he grew up in Shishi, an entrepreneurial city in Fujian Province. After graduating from high school during the Cultural Revolution he was sent to the countryside to work as a laborer and a barefoot doctor. In the 1970s he went to Hong Kong and worked in a textile factory, and there, he told friends, he made a fortune trading stocks. In the 1980s he invested in textile mills and obtained the rights to an industrial property and tore down the factories and built hotels in their place. His early projects were in Fujian. Later he moved on to bigger and better things in Australia and then Shanghai and Beijing. As a youth Li was a devout Communist. In the early 1980s he was fired from his job in an electric fan workshop for “advocating capitalism.” In 1983 he took advantage of Deng reforms that allowed individuals to take over state-owned enterprises if they paid the government a set fee and employed all the workers. To advance further Li said he spent much of his time petitioning the government and entertaining officials. “In China, you have to have relations with the government. We still need lots of approvals.” By the late 1980s he had expanded and was earning about $50,000 a year. His big break came in the early 1990s when he formed a joint venture with a Japanese partner and began making uniforms for Japanese companies. Later he expanded into printing and by the early 2000s owned a whole group of companies, including China’s largest printer for airline tickets. He is bit cageyabout how turned this into a fortune worth hundreds of millions. On his estate the tycoon Zhang Yue has built a 130-foot-high, gold-covered pyramid, a Versailles-style palace and raised 43 life-size bronze statues of inspiration of leaders such as the Wright Brothers, Gandhi, Rachel Carson and Jack Welch. His estate is on the outskirts of Broadtown, where his company---Broad---produces air conditioners, and his employees enjoy recreational facilities with an indoor swimming pool, top-of-line snooker and pool tables and a bowling alley. Broadtown is near Changsha in Hunan Province. Zhang has assets of around $500 million and is generally ranked between 25 and 50 on lists of the richest people in China. Broad Air Conditioning has annual sales of around $300 million and no debts and has been studied at Harvard Business School for its success filling a niche. Broad air conditioners don’t compress freon like other air conditioners but rather produce cool air using a special liquid called lithium bromide that produces vapors that cool when they condense. Zhang got his start developing safer factory boilers that collapsed rather exploded when they became dangerously overheated. Employees who work for Broad live in company dormitories, follow strict rules and vow to pay taxes and not take bribes. There is no litter or cigarettes butts. Gardeners sweep the lawns. Many buildings are covered by solar panels and have polished wood floors made from recycled pallets. Many employees can sing or play an instrument and periodically perform in concerts attended by other workers. Many have accused the Broad company of being like a cult. New recruits are organized into units and are required to go through boot-camp-like training. Each workday begins with employees in uniforms doing physical training at 6:00am. Workers generally earn about $150 a month and put in long hours, often working until midnight with only two days off a month. According to Forbes magazine, the richest man in China in 2002 was Larry Yung, chairman of CITIC Pacific Ltd., the Hong Kong unit of the state-owned China International Trust & Investment Corp., China’s largest investment firm. The 2000 Forbes magazine list was topped by Edward Tian, chairman of China Netcom, an Internet enterprise. It also included William Ding, a 29-year-old founder of Netease, another Internet company, who was worth $668 million. Fang Xiaowen, the richest woman on the list, made a fortune breeding pigeons as sources of food before expanding into peacocks, ostriches and emus. The oldest person on the list was 84-year-old Rong Yiren, a former head of CITIC Pacific. His family hds an estimated worth of $1.9 billion at that time. Before the Communists came to power in 1949, the Rongs were the wealthiest family in China. Many patriarchs built their fortunes with risky bets: movies, the first casino, manufacturing. But many have shifted into merely collecting rents from property and related businesses (ports, hotels, retail) or from government concessions (electricity, telecommunications, gas, casino licences). The simplicity of the underlying businesses may account for the ferocity of the family battles---it is not hard to make money if you own a casino near mainland China these days. However, in areas that are genuinely competitive, such as banking, Hong Kong’s family firms have been largely elbowed aside by multinationals. Patriarchs add value in two ways that do not appear on balance-sheets, says Mr Fan. Their reputation ensures that banks will lend money to their companies. And their relationships with government are often lucrative. Alas, these strengths are hard to bequeath to one’s children. Which is why some Asian empires will struggle to outlive their founders. Within a few years, dozens of publicly listed (but family-controlled) Asian companies will change hands. If history is any guide, the process will hurt, says Joseph Fan, a professor at the Chinese University of Hong Kong. A study he jointly conducted of 250 companies in Hong Kong, Taiwan and Singapore controlled by Chinese families found that successions tended to coincide with tremendous destruction of value. Any talk in Hong Kong about succession soon touches upon Li Ka-shing, 82, the territory’s richest resident, whose empire encompasses utilities and property. Much of his wealth has been pledged to charity, but no one knows who will run his firms when Mr Li dies. When he was abruptly hospitalised in 2006, shares in his listed companies immediately sank. There are exceptions. Sir Run Run Shaw, a 103-year-old media mogul, appears to be retiring in peace. On January 26th he announced that he would sell his controlling stake in TVB, Hong Kong’s largest television network, for more than $1 billion. It was the last public link to an empire that once included the largest private film studio in the world. Mr Shaw retired from active management on his 100th birthday, in favour of a much younger manager, his then 77-year-old second wife, Mona Fong. It is messy: Mr had four concurrent “wives” in a territory that does not recognise polygamy. Three are still alive, plus at least 16 children. Mr Ho apparently had a stroke in 2009, prompting his relatives to start struggling for control. Their feud has become a YouTube sensation. Every few days, a wheelchair-bound Mr Ho issues a statement that contradicts his previous one: either accusing his relatives of robbery or exonerating them. Throngs of Hong Kongers have joined the journalists outside the family’s many opulent residences, straining for the latest whispers. Two photographers have had their feet run over by limousines. The Ho saga has prompted fresh scrutiny of other firms that will soon face succession tussles. A major investor in two of Mr Ho’s Macau companies (one controlling casinos, the other ferries) is Cheng Yu-tung, 85, who runs his own swelling conglomerate, New World Development, with unresolved succession issues.